Back in school, I used to schlep my textbooks all over campus. I didn’t have a laptop or tablet to add to the load then, and I still found it back-breaking, just trying to move my voluminous haul over to my classes. It was also super inefficient. Wouldn’t you know, even if I made it to class on time, then on to my internship, over to the library and then off to an evening lab, there was always one critical book that I was too tired or time-crunched to remember to grab. The promise of e-textbooks is that they could change all that. With one device — whether your laptop, tablet or eReader — you’d never again have to worry about toting an epic load of books or forgetting a tome. It’s a brilliant concept. But are students ready for digital textbooks? And are e-textbooks ready for them? There are numerous factors involved, but let’s take a look at the big three: price, selection and functionality. For a while there, it seemed ludicrous — many e-textbooks were charging as much for titles as their traditional, paper counterparts. “Why?”, questioned users. There’s no printing or distribution costs, and certainly no overhead for physically warehousing them. Well, turns out the pricing structure was like a big experiment (still is) that includes a desire to not completely obliterate the pulp market in one fell swoop. Fortunately, things are changing, especially in light of Amazon’s announcement about e-textbook rentals. 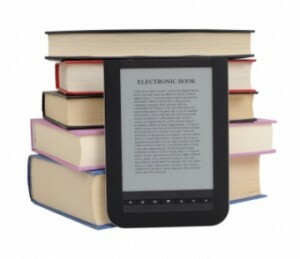 While they may be one of the biggest e-book purveyors in the market, they’re certainly not alone. Vendors like CourseSmart also offers digital rentals. Renting is a great thing, especially when you consider that electronic purchases are inflexible expenses — you can’t sell e-books back at the end of the semester, like you can with traditional books. But even if it’s not your thing, there’s still a reason to be happy about e-rentals: They seem to have nudged the staid, static world of printed book publishers more toward rentals too, just to stay competitive. As many as 80% of the college bookstores listed with the National Association of College Stores are now offering rentals of their paper versions. 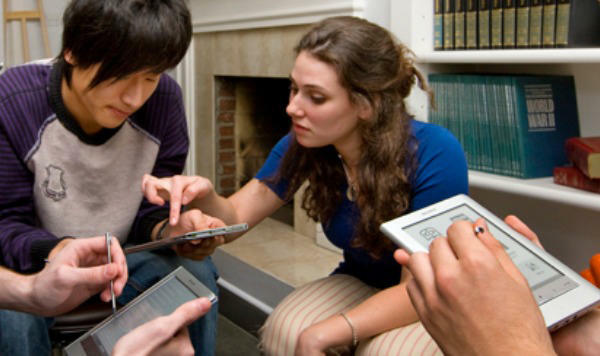 Even if you want to rush full steam ahead with e-textbooks, you may not even have the option. Electronic versions aren’t available for every title on the market. That’s why looking at your syllabus or other school literature, and then doing a search on required books is crucial before you make any big decisions about hardware (or budget, for that matter). The best advice here is to do the research based on the actual textbooks you will be required to use. And if you can’t find much of your required reading available digitally, then you’ll obviously not want to base a tech purchase on this alone. Can you take notes on an e-book? Follow pagination, along with hard copy–wielding professors and other students? Study in a dead zone with no Wi-Fi? Yes, you can do all of that with electronic textbooks, as well as search (within a page or whole book), highlight, print, copy passages into notes, share, look up definitions, and more. Some of this might vary, depending on the publisher or vendor, but many offer an impressive load of features to make your academic life more efficient. Not that the experience is flawless. Somehow, a less stellar line graph, drawing or even color image is more forgivable on a printed page than on a glorious Super Amoled, Retina Display or e-Ink screen. But e-textbooks are still in their nascent stages; someday, we’ll see terrific graphics and even more — maybe multimedia, cross-linked references, embedded historic lectures and other modern features integrated for a fuller, richer learning experience. More and more, university presses are making their works available electronically, so over time, we could see more robust learning environments within those virtual covers. I do think the e-textbook concept is both useful and brilliant. And undoubtedly, this the way forward for education. Unfortunately, it’s not quite ripe yet. 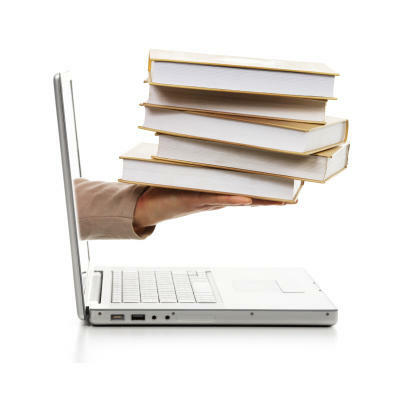 So should you make any e-textbook investments? Well, my advice is, if you’re curious and already have a mobile device that can read/access electronic titles, then try one out and see if it can work for you in its current state. Everyone has different preferences for how they like to study, so see if you can hang up your pencils and post-it notes and adjust to an all-digital environment. But you’ll want to think hard before investing any dollars in a new gadget just for this. Unless your school mandates them, or has designed a curriculum around digital books, being an early adopter in this case might make for a more frustrating than educational experience. Know of other resources for digital textbooks? Add them to the list by commenting below.